We meet again, dear M5. But this time it’s not on the cobbled streets of Lisbon, nor is it around the challenging hairpins of Circuit de Estoril, but it’s on my home turf, on the roads that I know like the back of my hand. 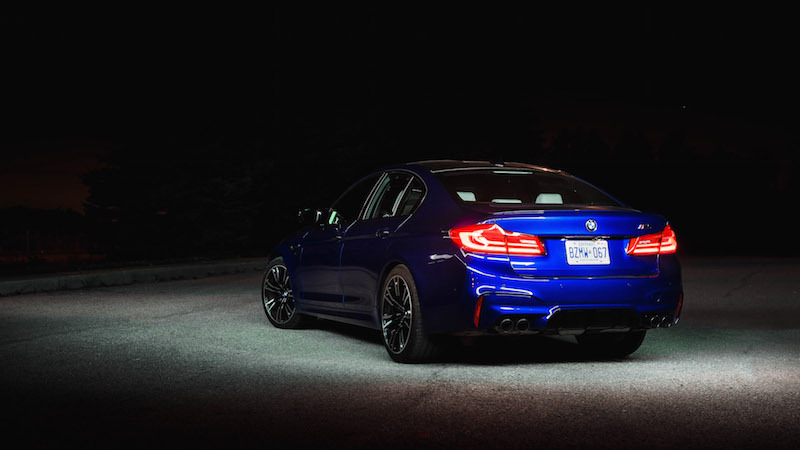 This is where I can truly evaluate the 2018 BMW M5 as a daily driver, how it copes with domestic tasks, how its suspension handles these familiar roads, and if it still holds the crown, at least my in eyes, as the best sports sedan you can currently buy on the market. The M5 is just as I remember it: blue skin, smoky white interior, rousing V8 symphony, and bewildering force of acceleration. It’s like meeting an old friend, one with an entrance fee of $113,300. 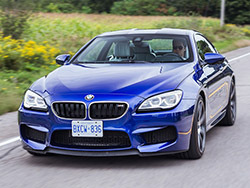 If you haven’t read my first drive review of the M5, it’s an article you don’t want to miss. I had the fortuitous opportunity to test every generation of the BMW M5, starting from the original E12 M535i. 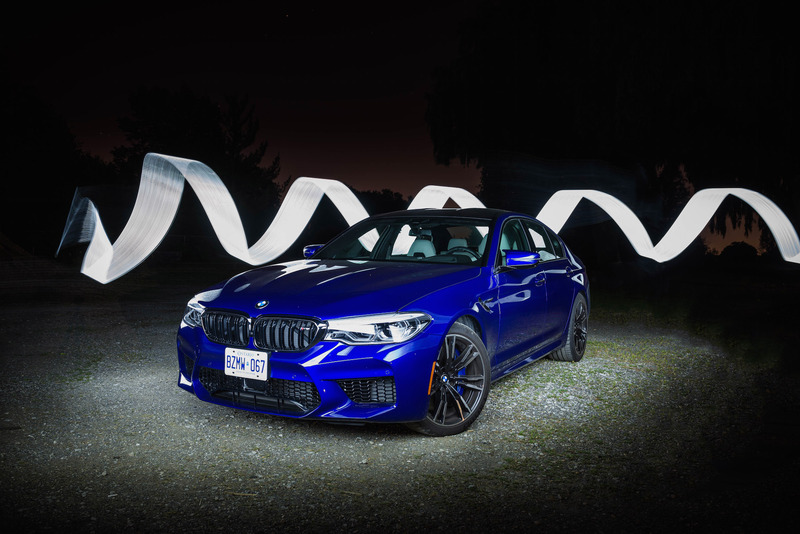 I was put in this once-in-a-lifetime spot to see how the M5 has evolved over the years and transcended into what it is now: a super sedan capable of tearing up gravel and at the same time, pampering occupants in a cocoon of opulence and modern technology. 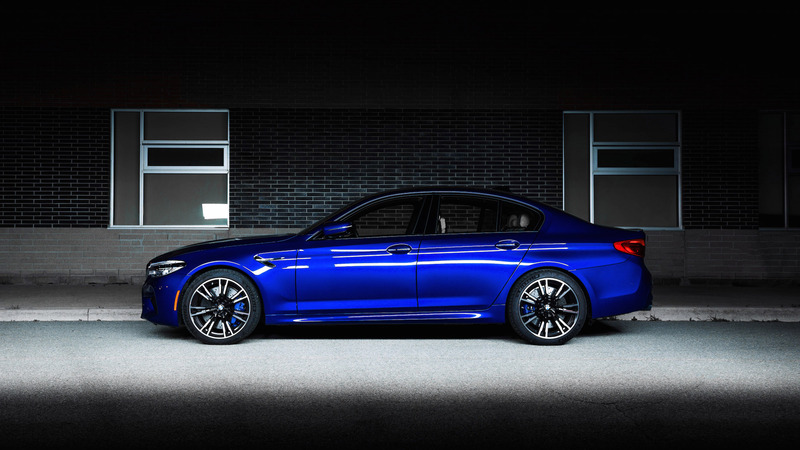 Not surprisingly, the new F90 M5 methodically provides the best of both worlds. The performance is incredible, and though it is tough to explore the limits of this 4.4-litre twin-turbo V8 on public roads without hitting the boundaries of safety, I was shown glimpses of its road control mastery. 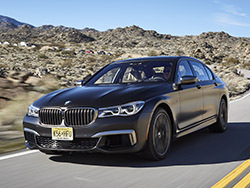 Unleashing all 600 horsepower is as easy as flooring the gas pedal and letting the all-wheel drive system and sticky Michelin Pilot Sport 4S tires do the heavy lifting. Simply let go once your heart feels heavy and head gets dizzy. 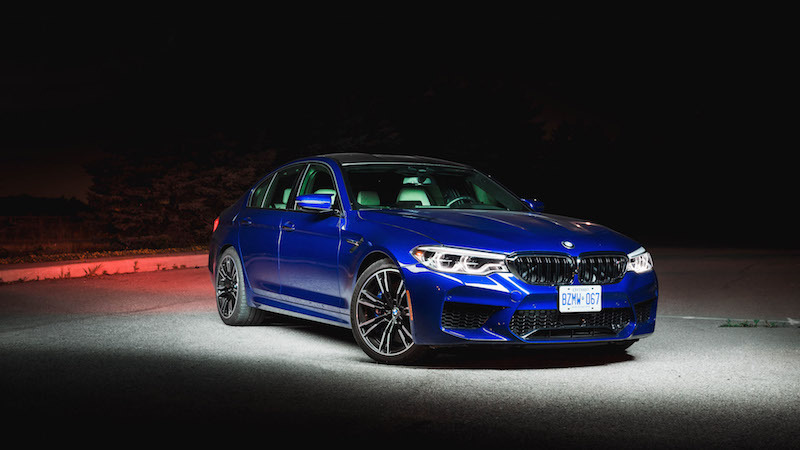 For those paying attention to the speedometer, 0-100 km/h comes in a swift 3.4 seconds, faster than BMW’s own V12-powered M760Li, and the exact same as the Mercedes-AMG E 63 S.
But it’s not just about what speeds the M5 is capable of getting up to, rather it’s how the M5 approaches those exemplary figures. Think luxurious speed, rather than barbaric speed. What I mean is that the M5 propels itself forward in a quick and hurried manner, but it never forgets to coddle the occupants. The trees will blur, yes, but as the driver or passenger, you will hardly notice how fast you are going until you conjure up the cojones to look at the speedometer. Six hundred horses are aplenty but the 8-speed gearbox deliver it in a soft spoken and collected fashion. This is all quite the opposite of the Mercedes-AMG E 63, which blasts you forward in aggression the moment you prod the gas pedal. 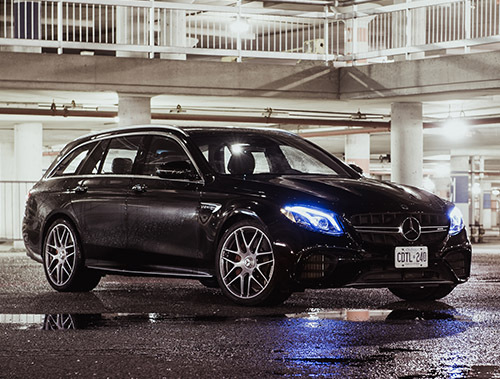 Rather than feeling calm and collected, the E 63 is an attack dog chasing a sausage. Of course, there are benefits and appeals to both sides of the spectrum. Which do I prefer most? It becomes subjective at this point, but the M5 will please those who want outright speed without sacrificing any of the comfort that is expected from a premium luxury sedan. The M5 suspension is much softer than the E 63 as well. Even in the stiffest Sport Plus setting, the M5 handles undulations in a dramaless and serene manner. The ride, surprisingly, never becomes taxing nor do occupants feel the jolts and shakes that come with entering a ditch. The tradeoff is that the M5 exhibits less finesse and more body roll than the Mercedes, though not enough to call them worlds apart. I think the E 63 sounds a bit better than the M5 as well, but you can watch our Exhaust Notes video of each to be the judge yourself. There are many nifty features that I did not have the opportunity (or the cojones) to test on public roads, such as 2WD mode where the M5 only sends power to the rear wheels in a traction-control-off-only setting, as well as Launch Control, but these I have tested on the track, and you can read about my experience here. Spending a full week with the M5 allowed me to truly sink into the interior and appreciate the meticulous details and aspects that BMW engineers dedicated their sweat and tears into. Some may find the M5’s interior lacking in innovation and presentation, but I think it’s just what BMW owners have come to love and appreciate. Sure it may not have the bling and swagger of the Mercedes E 63, but it’s incredibly functional with shortcut buttons, a larger infotainment display that is not only controlled by a rotary dial but has touchscreen capability as well, and also a clear array of dedicated buttons to change the steering, suspension, and drivetrain modes on the fly. There are minute elements that help you appreciate its six-figure price tag as well. Notice the red M buttons flanking the wheel? Those serve as shortcuts to your pre-customized drive settings. And those swanky seats? Well they have shoulder pads in case you do a barrel roll, and the M5 badge actually illuminates at night. The seatbacks tilt in two sections as well, allowing for nicely tailored position. The driving position is excellent - you can sit down low to the floorbed and telescope the steering wheel tight and close to the chest. The massaging seats are more of a slight tickle than an actual therapeutic knurl that you might find in a Porsche or Cadillac, but it’s a welcome addition nevertheless. 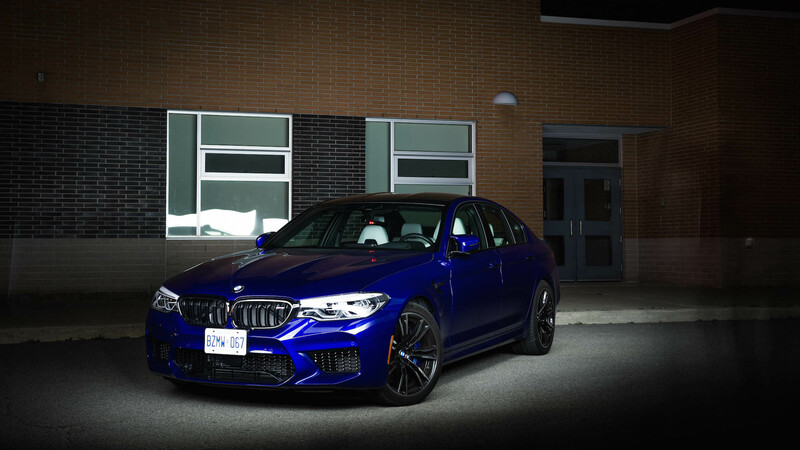 BMW has announced an M5 Competition model that will be coming to showrooms soon, which is even more powerful with a bump to 617 hp, allowing it to cruise to 100 km/h one-tenths of a second quicker. The ride height has also been lowered, springs and dampers stiffened, a sports exhaust added, and unique wheels and badges. Though I have yet to test it, these revisions may change what I called “luxury speed” and push the M5 into the more aggressive side of the spectrum. This may come as a welcome change for those who wish for more track-oriented mannerisms from their super sedan, though I doubt it will enhance or garner any more praise or street presence on public roads. On the other hand, if you think that 600+ horsepower is too much (said no one ever? ), then BMW also offers the M550i, which uses a similar V8 (though less powerful) to the M5, and produces quite a rumbly soundtrack as well. The ride quality is even more comfortable, and is just as capable at propelling occupants in a straight line with as much verve and panache. Don’t care about power? 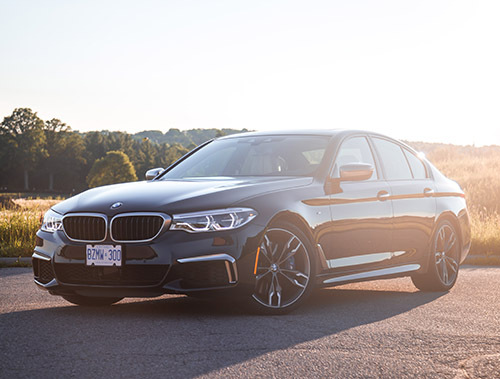 Check out the 540i with its silky smooth inline-six engine instead. 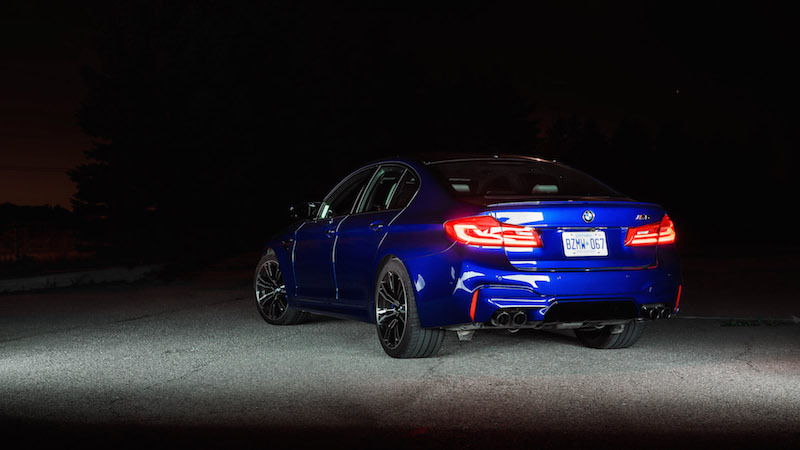 The M5 is a clever and well engineered sports sedan that skillfully balances both aggression and finesse. As a daily driver, the M5 excels above its rivals with a softer suspension, composed power delivery, and all-wheel drive confidence. You may not (or possibly ever) hit its limits on public roads, but the M5’s recipe is not as simple as putting a big engine into a big car. The M5 is endearing in the way that it never forgets to coddle occupants while at the same time, guiding them forward in a direction where any driver of any level of experience will be able to understand, exploit, and appreciate, all six hundred horses at their command. Now that’s something.